Pull ups for youth and pull ups for teenagers can also be used by small adults. Try the Tranquility Premium OverNight Disposable Underwear for maximum absorbency. You might also try the SleepOvers Youth Underwear for something more child-like if it's for a child. IDiaper offers the choices of pull ups for youth and pull ups for teenagers. There are a number of reasons for a youth to still require a diaper or brief later in life than most. However, the youth body is not formed the same as an adult and requires a special fit. Remember, the fit of the product is the key to leakage prevention. Youth individuals, besides having a smaller waist and hip measurement, usually have a shorter rise (the distance between the crouch and the waist). If you were to put an adult size diaper or brief on a youth typically the top the product would end up somewhere on their chest. The adult diaper or brief is just too long. The different manufacturers of youth diaper pullups have taken this into account and designed the youth pullups to fit the smaller body of a youth. And fit is the key to leakage prevention whether during the day or overnight. The pullups for youths are designed to have the look and feel of a normal pair of underwear. The Curity Sleep Pants Youth Underwear feature leg gathers for leakage prevention and has the super core for overnight protection. 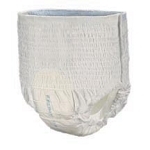 This pullup youth diaper features a cloth-like backing that gives a comfortable, discreet fit. They are available in a variety of sizes, using the child’s weight to select the correct size required. The Tranquility Premium OverNight Disposable Underwear is rated for overnight protection. Tranquility has brought the design and technology of the adult diapers down to the youth sizing. With the dual cuffs at the legs for leakage prevention, the super core for keeping the skin dry and the smaller sizing that still holds up to 20 fluid ounces they are the perfect for the youth size. The Select Disposable Absorbent Underwear is designed to pull up and down like normal underwear. 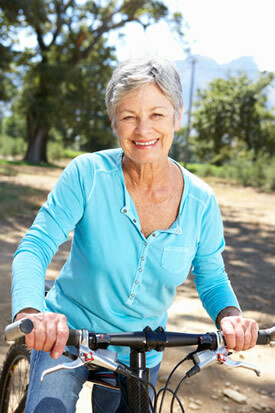 They feature the super core for absorption and the tear away sides for ease of changing. 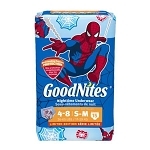 These are a smaller version of the Select adult diapers, scaled down to fit the youth body form. The Attends Underwear Super Plus Absorbency underwear has the breathable sides to allow the air flow to the skin to help prevent rashes and irritations. The tear away sides allow for ease of changing when needed. The Curity Runarounds - Boys & Girls are perfect for daytime use. They look like a normal pair of underwear with children in mind. These youth pullups have a pull down design available and measured by weight sizing in either male or female design. So if you have a youth with an incontinence problem, look at all the available products for them. Have the weight, as some use this for sizing; the waist and hip measurements readily available. Sometimes the weight sizing can be a little tricky, as weight distribution can be different in each child. That is when the waist and hip measurements can come in handy. When in doubt or have any questions, please give the idiaper customer service staff a call. We are very familiar with all of the pullup youth diapers We are here to help you find the right product for your needs. We have years of experience behind us, along with product training. We will guide you through what is available for your requirements.